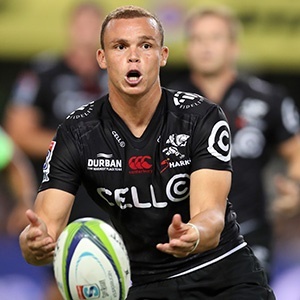 Durban - Curwin Bosch, back from Springbok duty, will start at flyhalf for the Sharks when they take on the Pumas in a Currie Cup clash in Nelspruit on Friday. That selection sees Benhard Janse van Rensburg drop out of the matchday squad, while Garth April will start in the No 15 jersey in place of the injured Inny Radebe. In the front row, Ross Geldenhuys comes in for a start ahead of John-Hubert Meyer. The Sharks have now won six Currie Cup matches in a row and are top of the log. Kick-off on Friday is at 17:00.